Having moved to Texas during a drought, I am definitely not one to complain about the rain. It’s always welcome and often prayed for. Although, we can do without the marble sized hail. Because of the rain, things have been a bit delayed. But we’re getting closer. Today we had the pre-pour final inspection and engineering inspection. Some issues were identified/fixed and we should be good to go for next week. We’ve contacted 84 Lumber, to let Craig know to schedule delivery of our framing materials. During the delays, we discovered that we somehow failed to communicate an important piece of information: the location of the master tub drain. We picked out a center drain tub, however our house plans show an end drain. Amidst the excitement of actually starting the house, we didn’t tell the plumber. I would advise future builders to pick out the master tub early and be sure its indicated on the plans correctly. We have an awesome plumber and he was very gracious in adjusting the drain to the right location. Thank you, Miguel with Miranda Plumbing. You’re the best. We have been very pleased with the recommendations UBuild It has made so far, with regards to the subcontractors. They have been outstanding and we enjoy working with them. All of our research and decisions are coming to fruition. In addition to the framing materials, we will also place the order for our doors and windows, as well as tubs and plumbing fixtures. I went over everything one more time, hoping to catch anything we may have missed. And also to be sure I am still happy with all the choices. Before the foundation is poured, Jon and I plan to tuck some scripture verses in various places. We are so thankful to be able to build our home on Oak Haven and we want it to be dedicated to the Lord from the ground up. Homes are built on the foundation of wisdom and understanding. 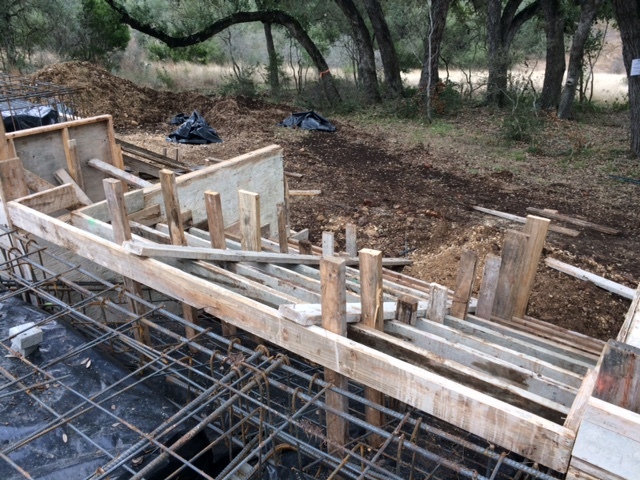 This entry was posted in Hill Country Living and tagged 84 Lumber, Country Living, Miranda Plumbing, River Chase, Texas Hill Country, UBuild It. Bookmark the permalink.